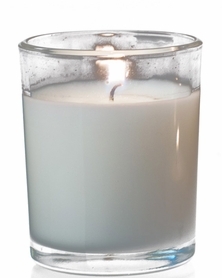 Battery operated candles are the perfect solution for those times where you just don't feel safe using real fire candles. These have real wax outsides so they don't look like cheesy plastic ones! We carry 2 styles with 2 Colors each: One with a Dripping Wax Finish on the outside and one with a Smooth Wax Finish. Each style is available in both WHITE and in OFF-WHITE. The LED tip is soft and flexible. The color of the glow is AMBER, which is sort of hard to photograph. It's an authentic candle-looking color to the LED light. Please 2 AAA Batteries (sold seperately...each 2 pack will require 4 AAA batteries) in the bottom of each candle and twist them to turn the candles on. These are NOT your "big box cheapie store" LED Taper Candles. These are first-rate quality made by a USA company. 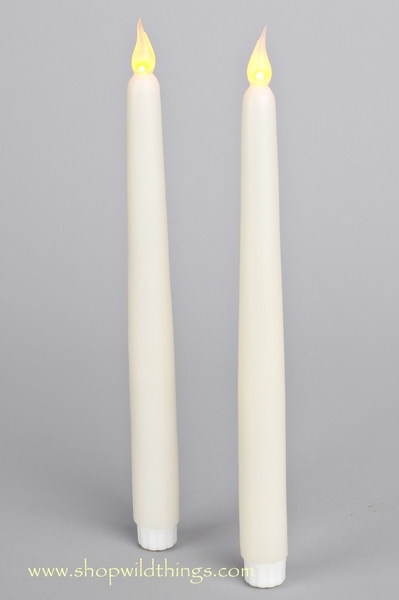 Each candle is 10.75" tall and tapers from 3/4" wide at the top to 1" in diameter at the bottom. You'll be proud to use these in your home or event. I bought two sets and I am not disappointed. 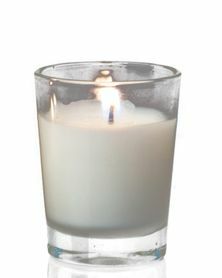 Very nice candlelight look without the danger of live flames, nice if you have children or grandchildren in the home.